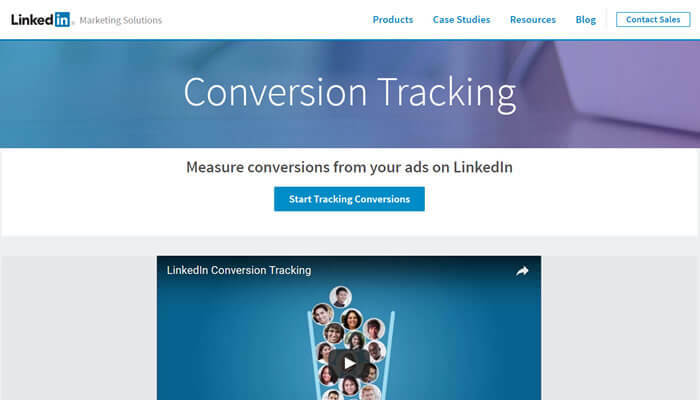 LinkedIn conversion tracking for advertising landed September 8. 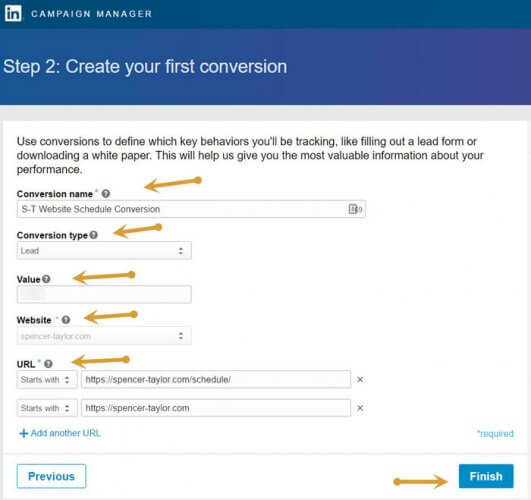 This addition to LinkedIn’s advertising tools offers any business or individual running ads the ability to track conversions to their Website. I firmly believe conversion tracking should be used to get the most out of our online marketing efforts. If you are new to conversion tracking, please check out my Pulse article for details on its importance and why you should always track conversions when possible. 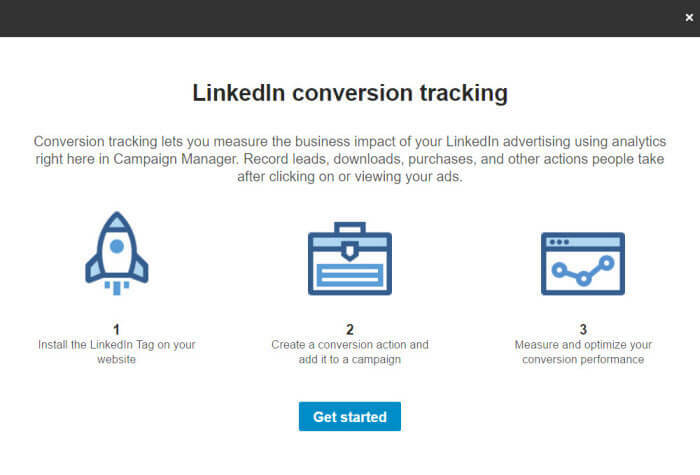 Measure your direct ad performance with the new LinkedIn conversion tracking Insight Tag. Let me show you how easy it is to set up LinkedIn conversion tracking. 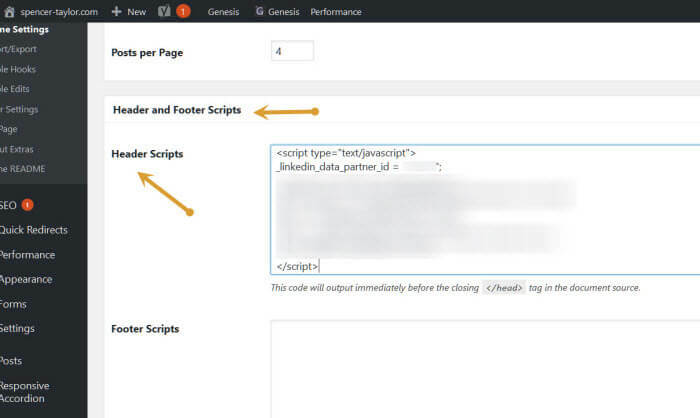 We’ll walk through the process in the LinkedIn ad manager, and I’ll demonstrate how to add the necessary code to your Website. LinkedIn has made this rollout as painless as possible. If you are presently running LinkedIn ads, or will be, I urge you to set up your conversion tracking code today. Let’s jump in! You may see this dialog box when logging into the LinkedIn campaign manager. This link will take you directly to the new LinkedIn conversion tracking. If you do not see the “Start Tracking Conversions” dialog, create a new conversion using the “plus blue button” – I’m certain this is not its official name. Note the message about adding conversions. The conversion status shows as “unverified” in orange because we have not yet installed the Insights Tag code on our Website. We will be doing this next. It’s important to keep in mind that LinkedIn conversion tracking will not work without this crucial step. You will see this dialog box next about domain verification. This process ensures LinkedIn that you are allowed to access information at your organization’s Website. 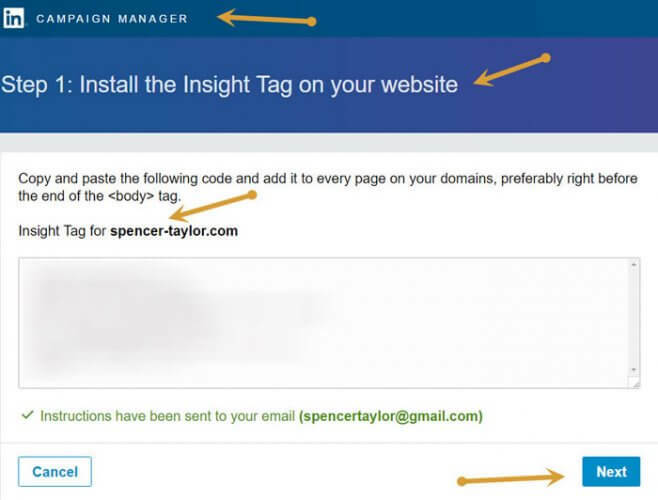 In the next step, we will get our new Insight Tag to install into our Website. I recommend emailing the instructions to yourself. In the future, you can search for them in your inbox when needed. Here is where we set up our first conversion. Firstly, name your conversion. Regardless of the advertising platform, I like to name all ad-related items to be as obvious as possible. When I check my campaigns before bed brushing my teeth, I don’t want to guess what I intended for an ad. Select your conversion type. In my case, I’m setting up a lead ad campaign. The amount that a conversion is worth to your business is its value. I recommend adding your domain name plus the page, or pages, where the conversion will take place. Depending on how your Website configured this may vary. If you’re not entirely sure what pages or URL’s to add to your tag, check with your Website person. Until your LinkedIn conversion tracking Insight Tag is communicating with the ad system, it will show as “unverified.” It should look like this. It’s time to select the conversion for our ad! Please keep in mind that depending on the number and type of ads you’re running, you may need to set up multiple conversions. It’s as simple as following the steps above. Look for the “plus blue button” to create a new conversion from the campaign manager. Be sure to keep in mind the type of conversion you are tracking and its value. For new ads, choose the appropriate conversion to track. For Existing ads, click the conversion tracking option now in the upper right-hand corner. Above you will see my tag marked as “active” in the campaign manager. 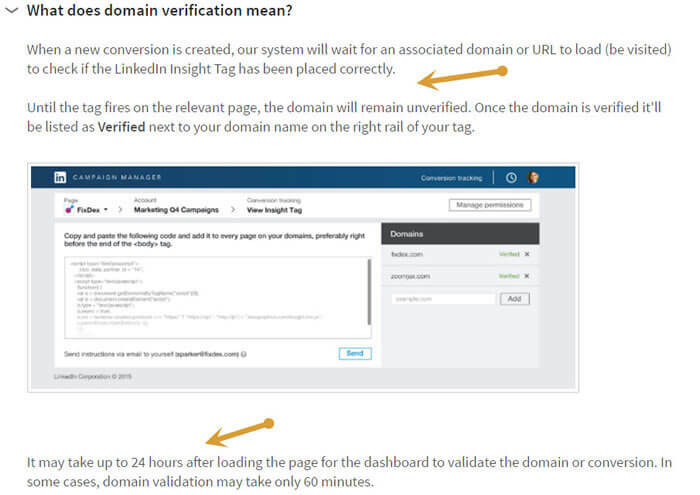 It may take a few hours or longer for your LinkedIn conversion tracking tag to verify. Your Insight Tag will only verify with a campaign running to the best of my knowledge. If your experience is different, I’d love to learn about it in the comments. I hope this setup guide is helpful. I believe LinkedIn conversion tracking will greatly help us understand ad engagement in more detail on the social networking platform and I’m looking forward to learning its intricacies. Why are Conversion Tracking and Marketing Automation important? Is LinkedIn the New Cover Letter? Find out!